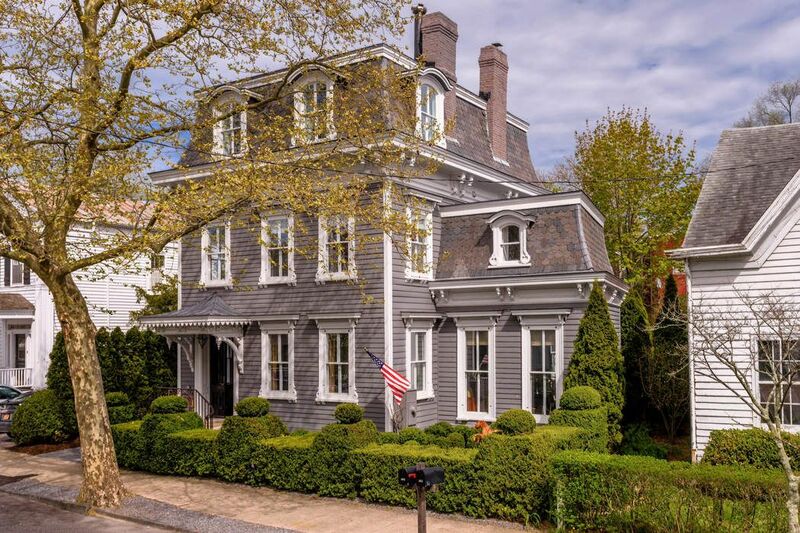 Iconic Benjamin Hope House Sag Harbor, NY 11963 | Sotheby's International Realty, Inc.
$4,500,000 3 Bedrooms3 Full / 1 Partial Baths3,826 sq. ft. Built by clockmaker F.B. 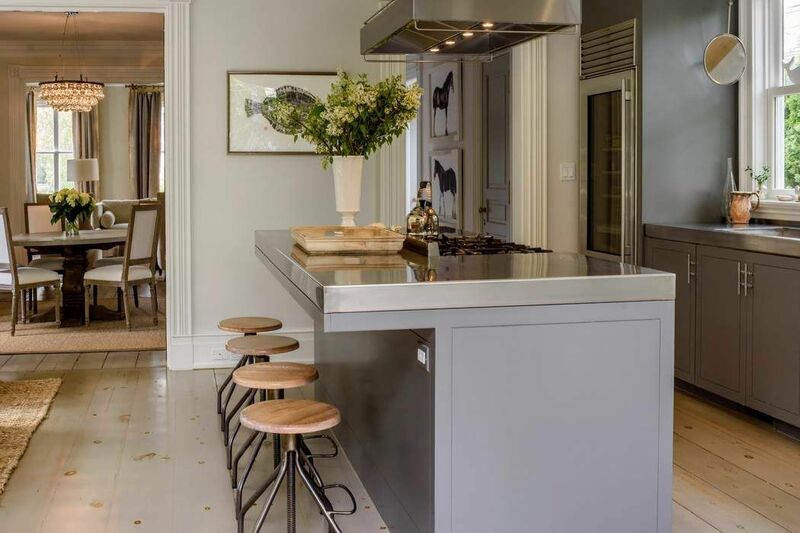 Hope in 1865, the historic Benjamin Hope House located on Sag Harbor's iconic Main Street has undergone a full restoration by Ben Krupinski Builders and AML Architecture with interiors by Michael Lee, garnering placement in the pages of Architectural Digest. 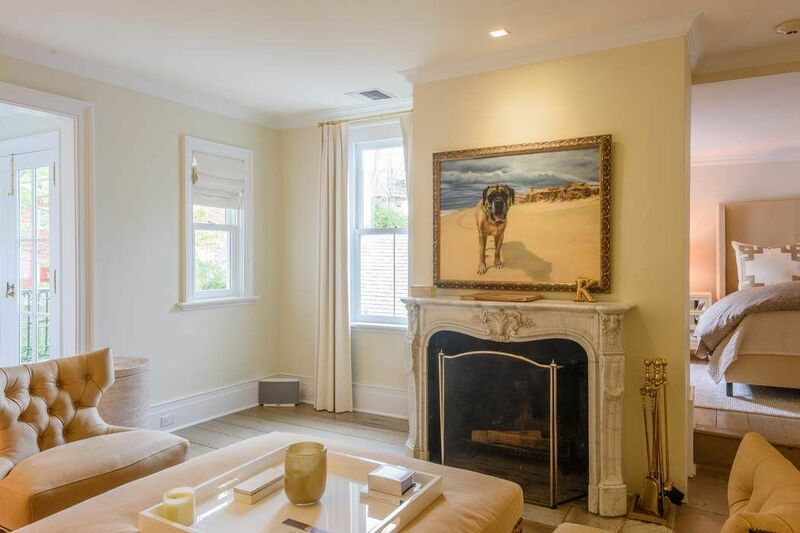 Three bays wide and three stories tall, this Second Empire style home stands at the doorway to Sag Harbor Village and is offered for sale fully furnished. 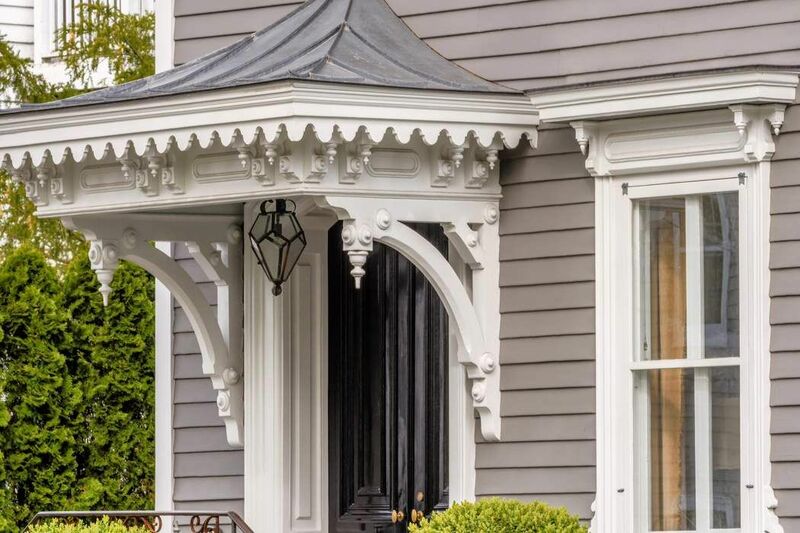 To preserve the home's authentic exterior features, every element of the detailed cornice work has been meticulously returned to its original condition capped by a painstakingly restored antique slate mansard roof that is unmatched anywhere on the East End. 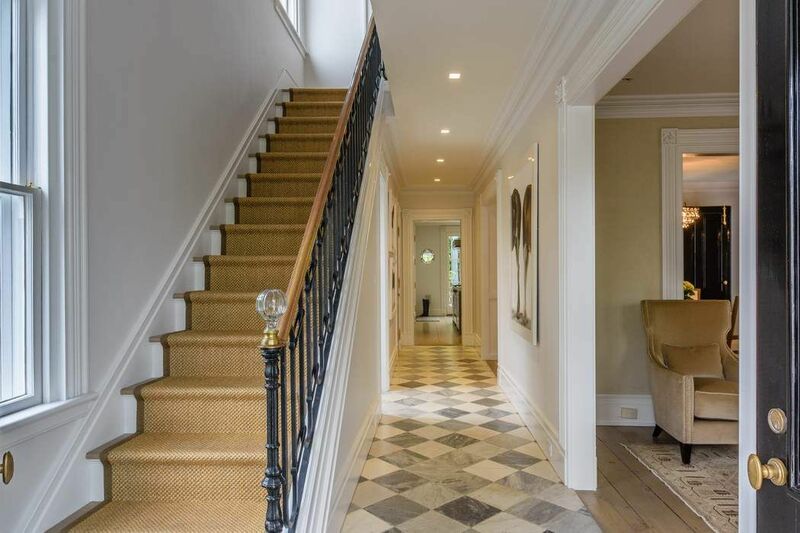 A sympathetic interior renovation lends modern practicality to the home's antique pieces and materials. The main floor offers a stunning antique marble foyer and grand center hallway, flanked by a formal parlor and elegant dining room, each with completely restored fireboxes and reclaimed antique marble mantles. 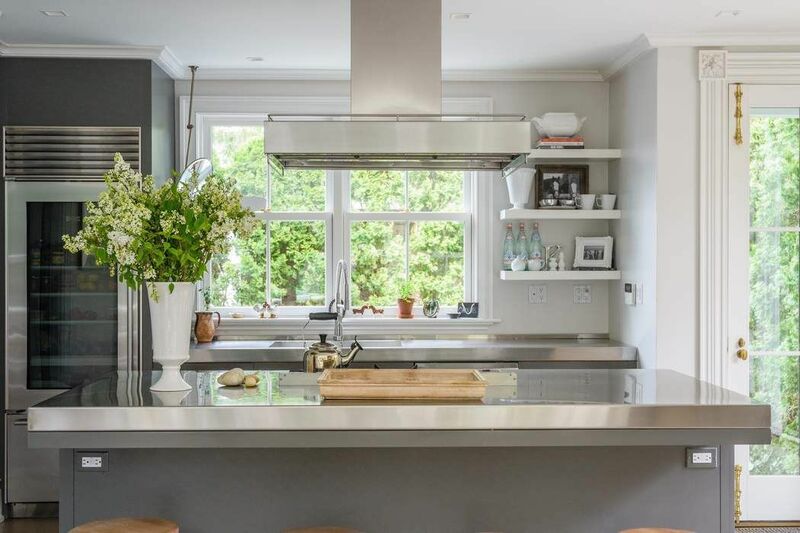 Adjacent to the dining room and separated by an imposing pair of massive restored oak doors is the super chic and light-filled chef's kitchen bordered on three sides by an extensive mature boxwood garden and charming outdoor dining space. 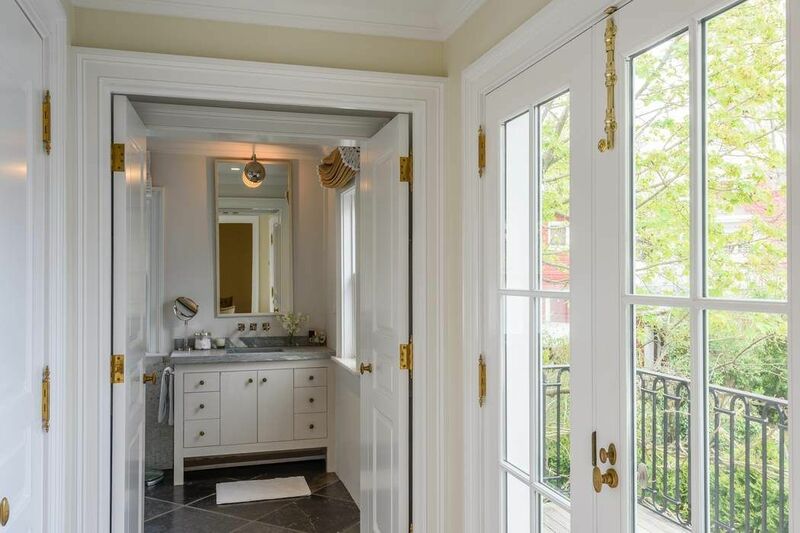 The second floor offers a luxurious master suite with fully restored marble fireplace and seating area, private sun-drenched terrace with views, large his and her dressing suite and adjoining master bath with steam shower and free-standing tub. 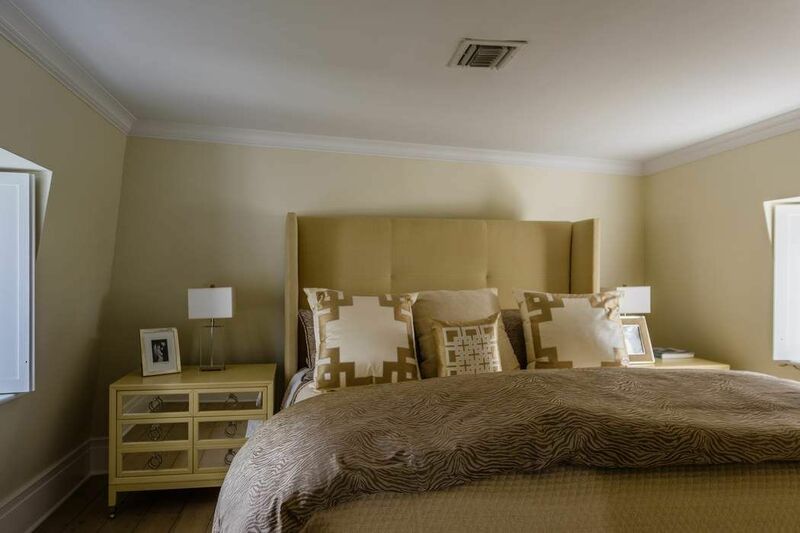 The second floor guest bedroom with restored fireplace is perfect for the weekend guest. 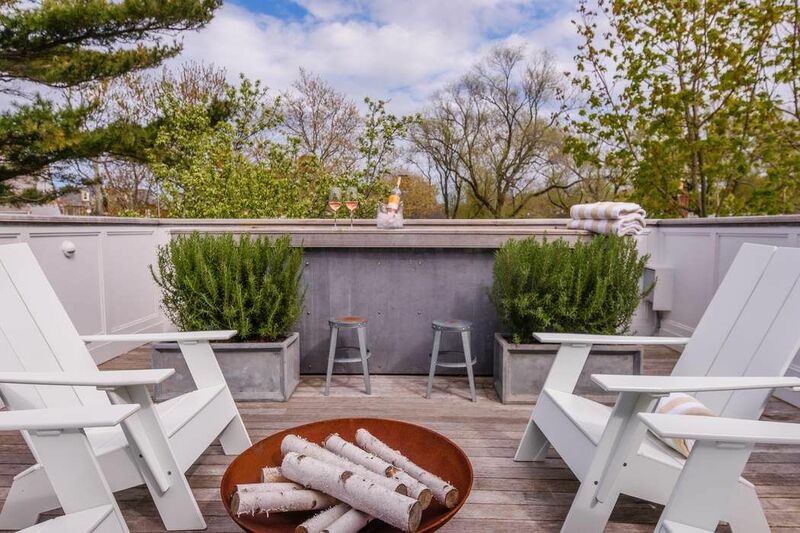 The third floor offers a full floor media and entertainment suite with an adjoining outdoor deck and year round rooftop garden pool and fire pit, a rarity in Sag Harbor. 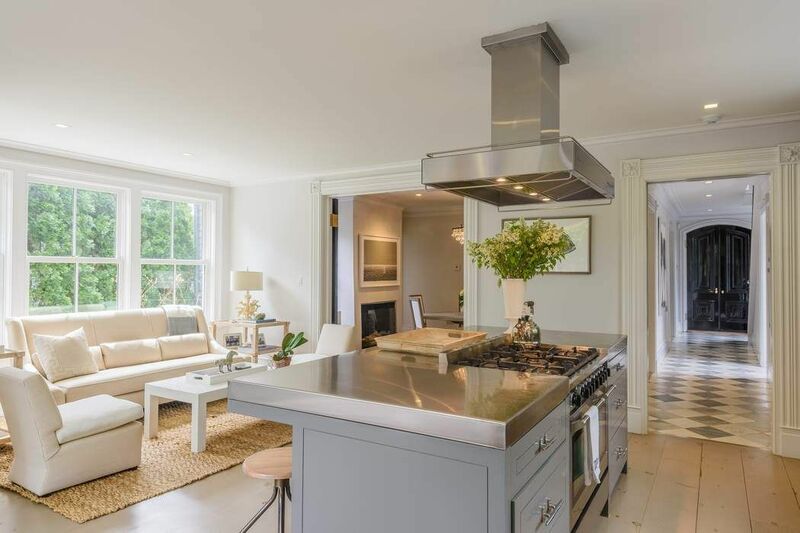 Convenient to the Hampton Ambassador and all Sag Harbor has to offer, this is a rare opportunity to own a home of irreplaceable character and supreme style. 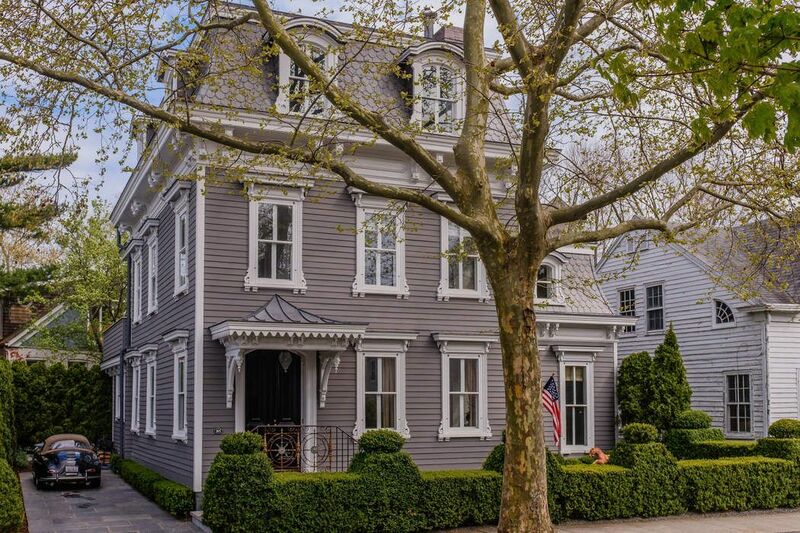 Newsday, "Restored Sag Harbor Home Lists for $4.5 M"
Built by clockmaker F.B. 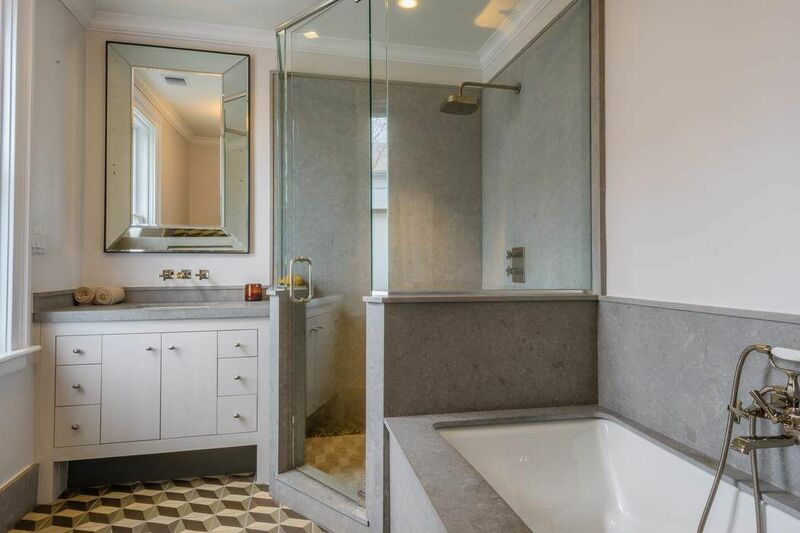 Hope in 1865, the historic Benjamin Hope House located on Sag Harbor's iconic Main Street has undergone a full restoration by Ben Krupinski Builders and AML Architecture with interiors by Michael Lee, garnering placement in the pages of Architectural Digest. 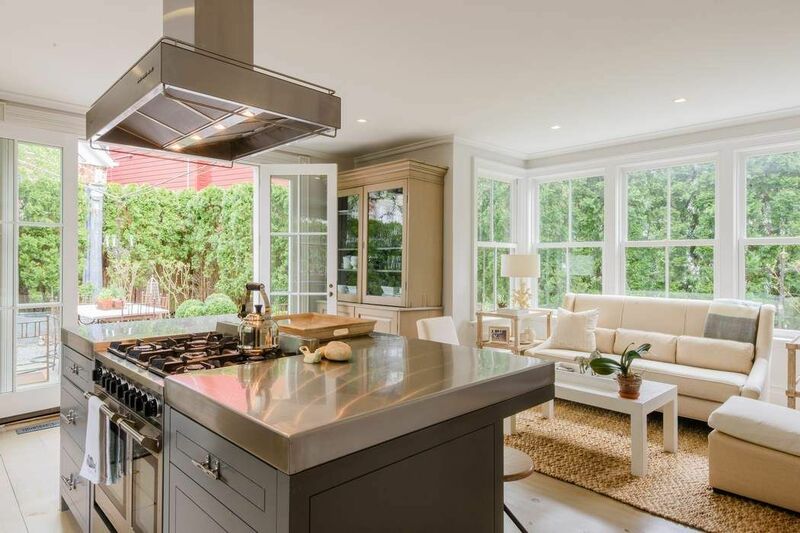 Three bays wide and three stories tall, this Second Empire style home stands at the doorway to Sag Harbor Village and is offered for sale fully furnished. 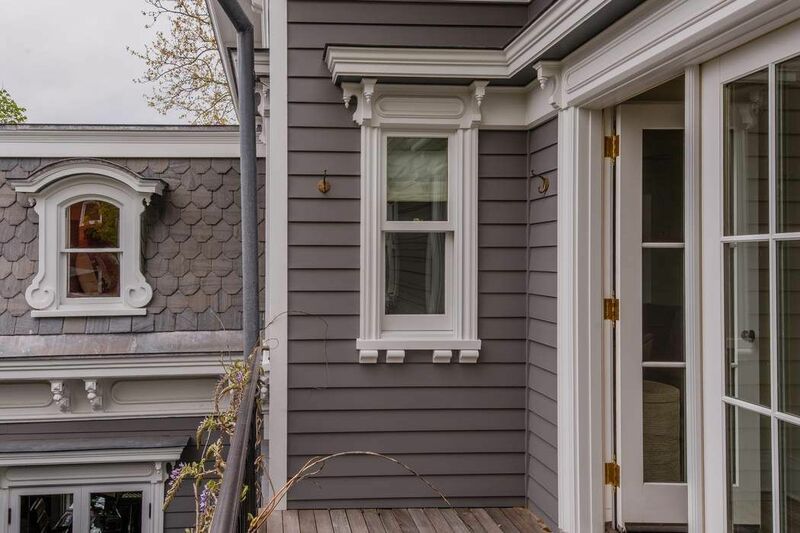 To preserve the home's authentic exterior features, every element of the detailed cornice work has been meticulously returned to its original condition capped by a painstakingly restored antique slate mansard roof that is unmatched anywhere on the East End. 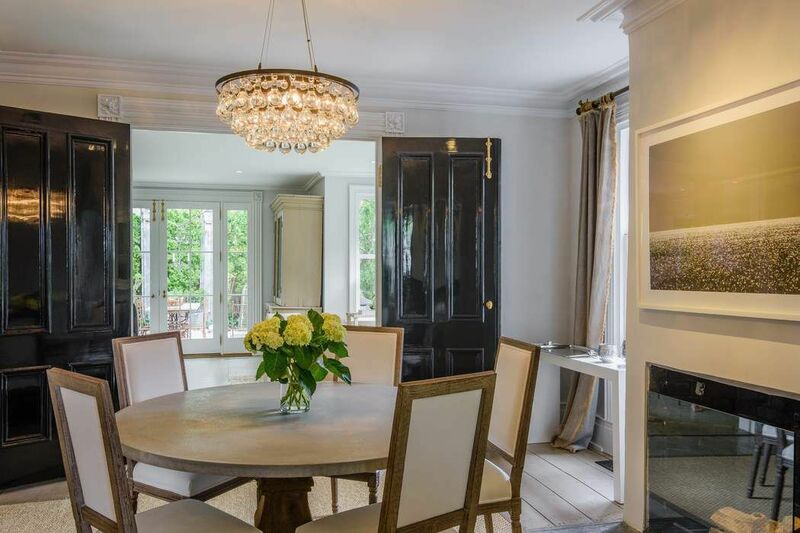 A sympathetic interior renovation lends modern practicality to the home's antique pieces and materials. 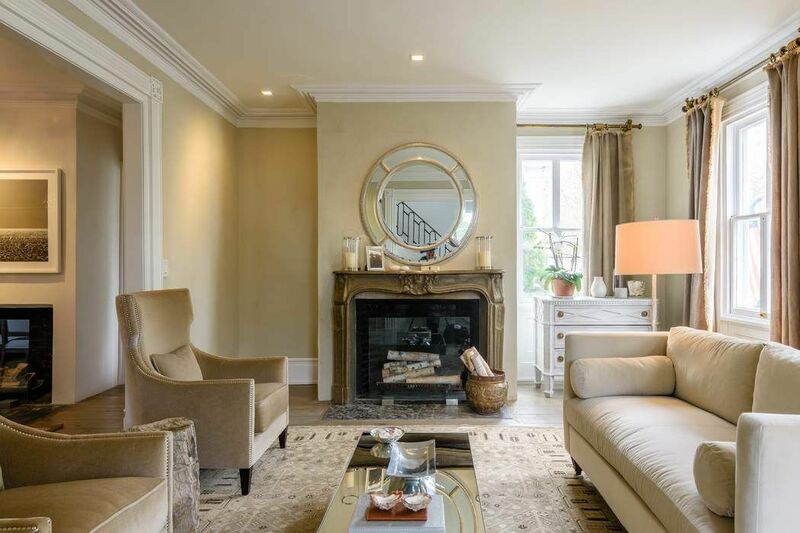 The main floor offers a stunning antique marble foyer and grand center hallway, flanked by a formal parlor and elegant dining room, each with completely restored fireboxes and reclaimed antique marble mantles. 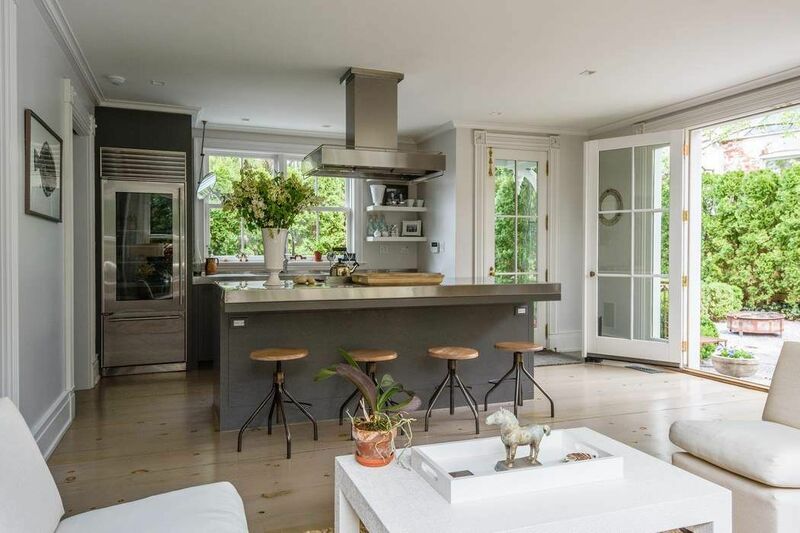 Adjacent to the dining room and separated by an imposing pair of massive restored oak doors is the super chic and light-filled chef's kitchen bordered on three sides by an extensive mature boxwood garden and charming outdoor dining space. 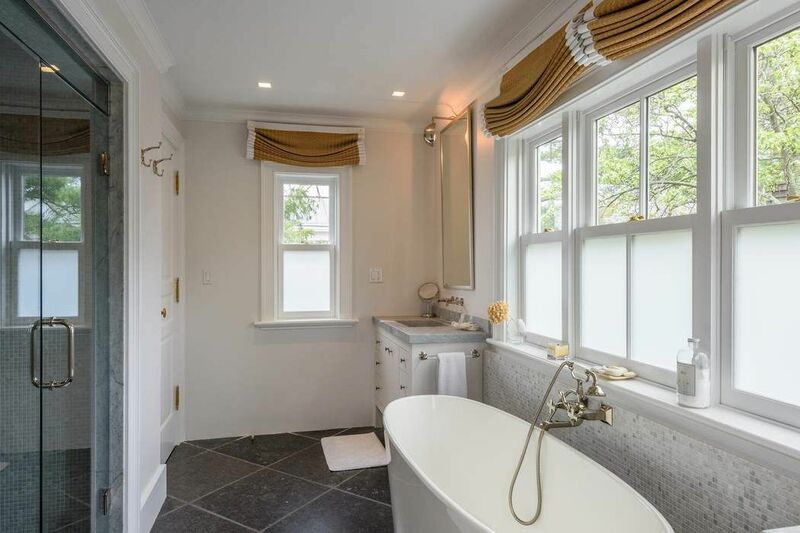 The second floor offers a luxurious master suite with fully restored marble fireplace and seating area, private sun-drenched terrace with views, large his and her dressing suite and adjoining master bath with steam shower and free-standing tub. 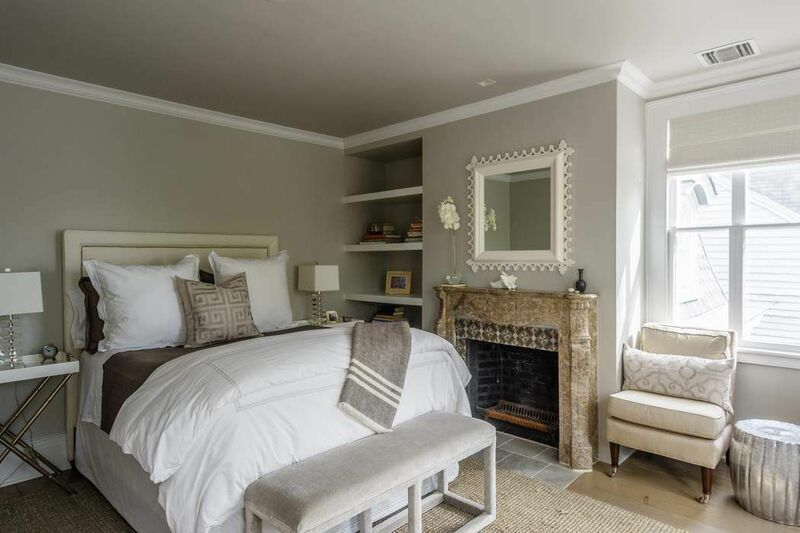 The second floor guest bedroom with restored fireplace is perfect for the weekend guest. 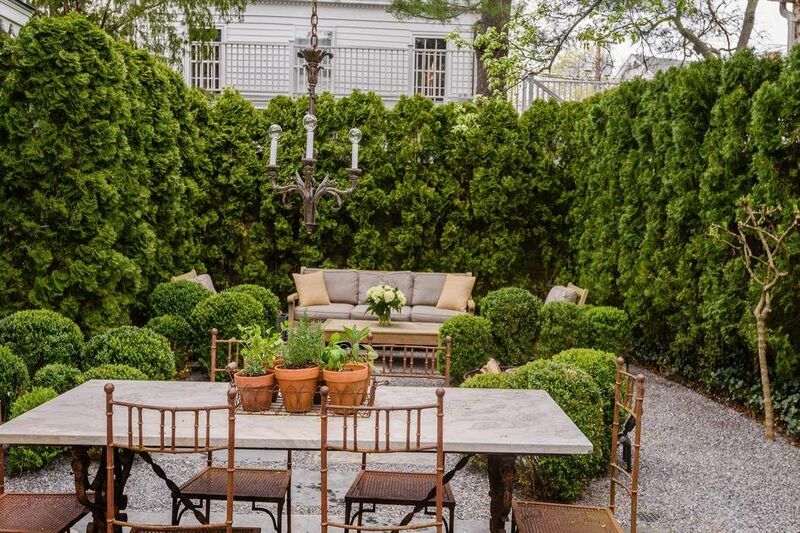 The third floor offers a full floor media and entertainment suite with an adjoining outdoor deck and year round rooftop garden pool and fire pit, a rarity in Sag Harbor. 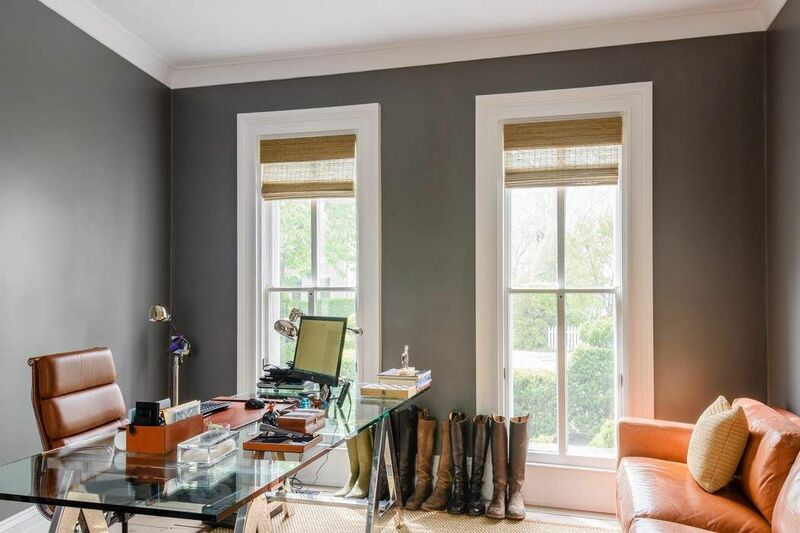 Convenient to the Hampton Ambassador and all Sag Harbor has to offer, this is a rare opportunity to own a home of irreplaceable character and supreme style. Truly a trophy property.